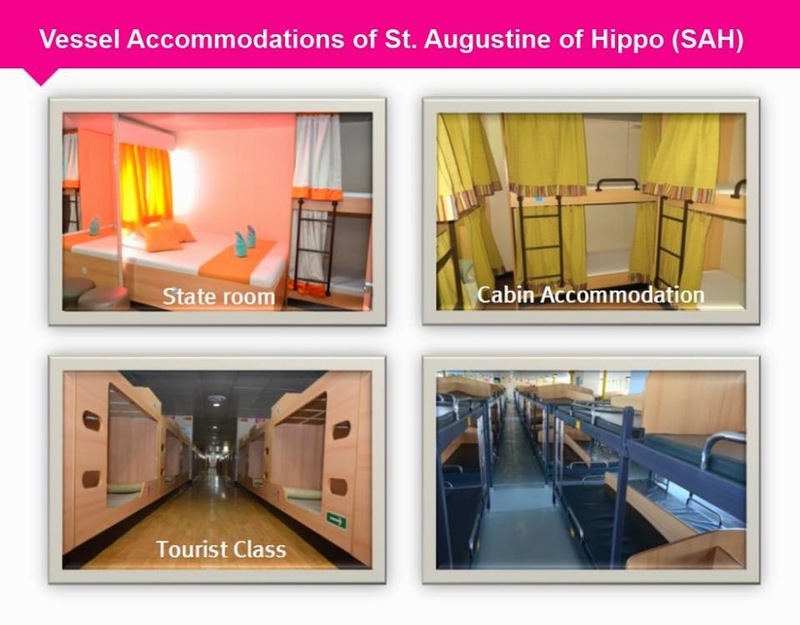 SAH stands for St. Augustine of Hippo. 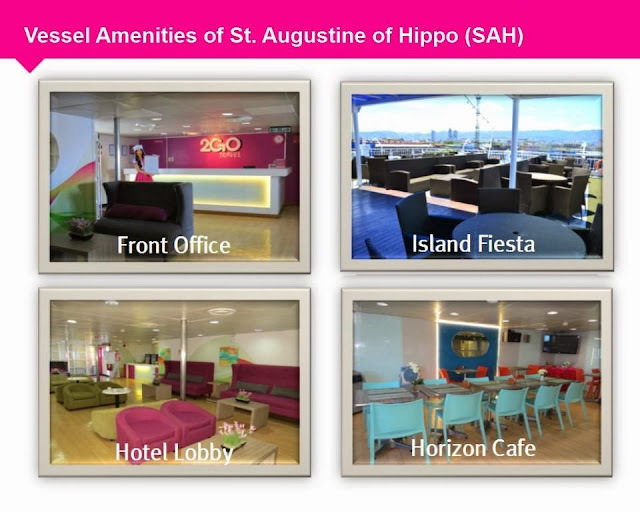 It caters our major ports such as Coron, Puerto Princesa and Bacolod. 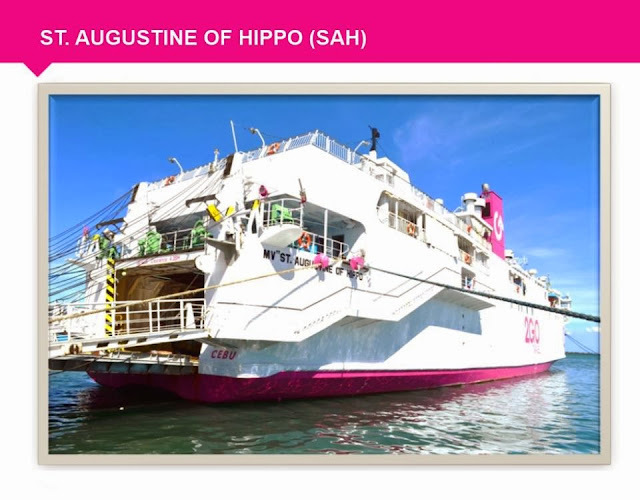 She plies Manila-Coron-Puerto Princesa every Friday at 4:00PM while her route from Manila to Bacolod is every Monday at 10:30AM. Schedules are subject to change. Is this for real? Many of you will ask. Yes, feel at home with our relaxing accommodation. Delight your taste bud with our mouthwatering food in our on board restaurant and pamper yourself in our cozy hotel lobby. What you see is what we have!! Experience this now! Call us at (02)528-7000 or visit our website at www.2go.com.ph. Magkano po pamasahe from Manila to Puerto Princesa? Thanks!